1. 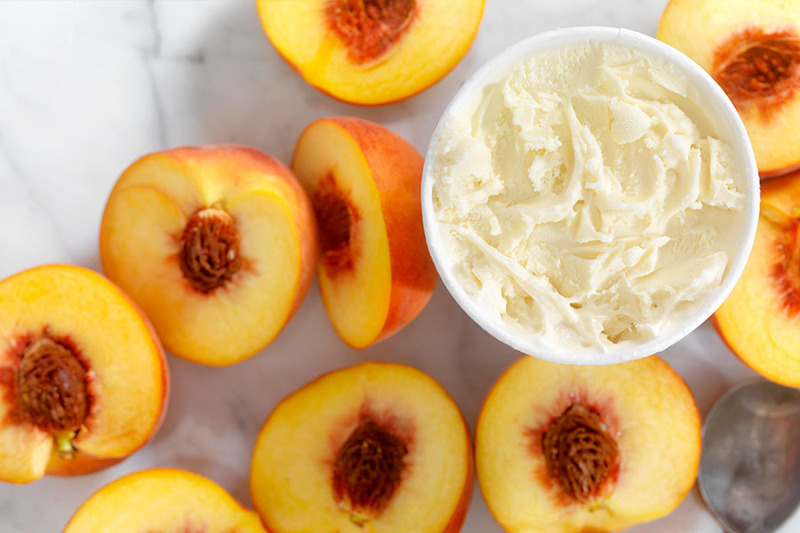 Toss peaches with vinegar and honey in a bowl until fruit is well coated (can marinate for about an hour prior, if time permits, but flavor is delicious either way). 2. Preheat a medium nonstick pan on medium heat. 3. Add peaches to hot pan. The mixture will start to reduce and caramelize so make sure to keep stirring so not to burn. Turn heat down to low. 4. Arrange slice of short on plate, spoon warm peaches and juice over cake. Top with fresh whipped cream or ice cream. Enjoy! !